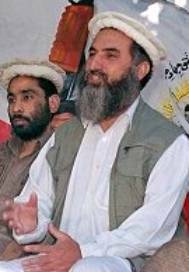 The brief designation omitted Hizbul Mujahideen’s support for al Qaeda in the past, as well as its relations with other jihadist groups in Pakistan, Afghanistan, and India, such as Lashkar-e-Taiba. Hizbul Mujahideen’s emir was officially listed as a global terrorist in June 2017. Qazi Hussain Ahmed, the former emir of the Jamaat-e-Islami, spoke at a funeral service for Engineer Ahsan Aziz, who was killed on Aug. 18. Syed Salahuddin, the emir of the Hizbul Mujahideen, was also in attendance. The emir of the Al Badar Mujahideen said his group is waging jihad in both Afghanistan and Kashmir, and the leader of Hizbul Mujahideen said his group’s jihad is against the US and its allies.